This weekend I picked up my new project, an Integra LS ('95) auto to build a Touge/Time Attack car for racing at Brainerd International Raceway here in Minnesota. I've also had a thing for the integras since I was in Elementary school and Middle school and kind of reinforced my want for one when the original Fast and the Furious came out and Ja Rule's and Mia's integras (among a few background ones) were racing about. I'm coming from a VW/Jeep/HyundaiKia background working on cars with varying levels of mods on the misc vehicles I've had over the years. The most recent two being my 2012 Veloster NA and my 71 VW Fastback (type 3) restoration project. It's a 1995 100% stock (radio, wheels, engine, everything down to the Acura Customer car care Cassette tape with Whitney Houston music) Automatic Coupe that is a bit Crusty from spending it's whole life in Illinois and recently brought to minnesota by the PO last year. Weight in at BIR to see what i'm missing for passing tech inspection and get a starting weight of the car and lap time. If the chassis isn't beyond saving, rust repair, sealing paint and vinyl wrap. work towards competitively improving my best lap times and build as balanced of a street legal track car as i can muster. Welcome. Fellow Minnesotan here also. Looking forward to the build. Making a quick note here of a few things i'll be looking into doing after getting a finalized copy of the SCCA 2019 rules. - manual swap parts list. How much seat time have you have on a course? seat time in Montana(about 6 years ago) I have about 15 days in, Minnesota i have 0 days of seat time. Still working on finalizing what SCCA Solo Class I'll be building to but I think i have it narrowed down to the F Street Prepared (FSP) class to allow for a large variety of "standard" tuner mods that I typically do to all cars I've owned. I've also been doing some reading on what i want to do about engine blueprinting for down the line. 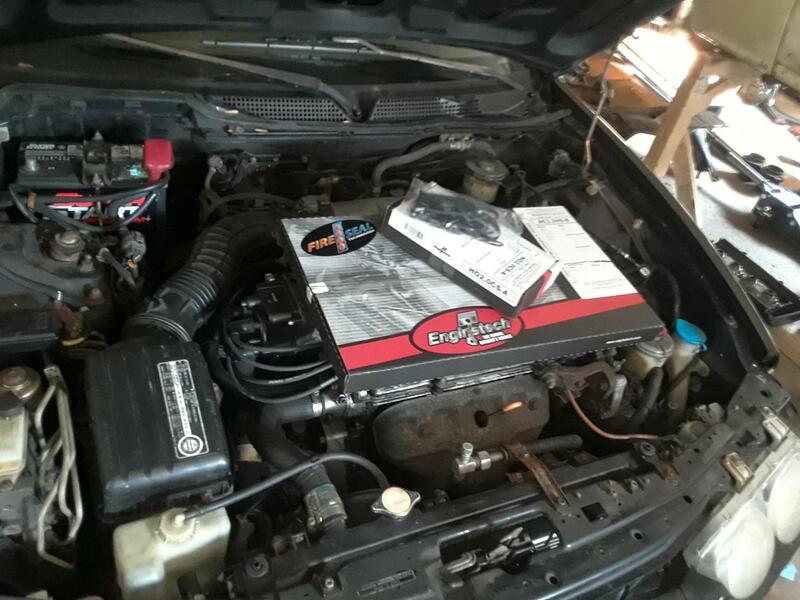 For now I have been considering picking up an OBDII valve cover to swap over (for looks and easy of cleaning) as well as sourcing some replacement quarter panels from JDM Ohio Direct when they are back in stock (typically DC2 Type-R). I think later this week i should have my SCCA class finalized and I can go to town on removing the failed A/C pump and start cleaning the sludgy engine bay off before teardown for full gasket replacement. Last edited by Absolute_Yeti; 02-19-2019 at 02:08 PM. Glad to see a fellow club racer on here! Couple things I would recommend would be trying out manual steering before going with a quicker ratio as the quicker ratio will require a lot more force to turn and the Teg rack is actually quicker than a manual EG civic rack. I had a problem where my steering wheel strained my shoulder after getting a little goosey in a slalom last year so just be aware of this as the steering wheel can overrule your hands at any time. From what I've seen, a good set of tires, a bigger rear sway bar, a stiff set of Koni/GC coils with rear bias, and a good alignment can really make these cars competitive. Good luck with the race season and future mods! I've actually had quaife quick ratio manual racks in a few (daily driver) cars now and enjoy them for everything except parallel parking. However I learned to drive in a 1946 Willy's CJ-2a so everything has easier in comparison :P Quaife will wait until after the manual swap, suspension and rust repair though. Hoping to log a season or two before going crazy with modifications. Reached out to JDMOhioDirect thanks to Dante and sourced some patch panels A pillar pieces to address the rusting windshield frame. Based on the pictures they sent I think I have a game plan for welding in the pieces without compromising the strength of the A-Pillar before getting a cage installed. Will likely be sourcing quarter panels from them next. - anything else neat i find. also deciding if i'll try picking up a EJ33 or EJ22 for my 71 vw fastback. Depends how much of the integra stuff i find today and if i have space in the back of my veloster LOL. Annnddd we're back. 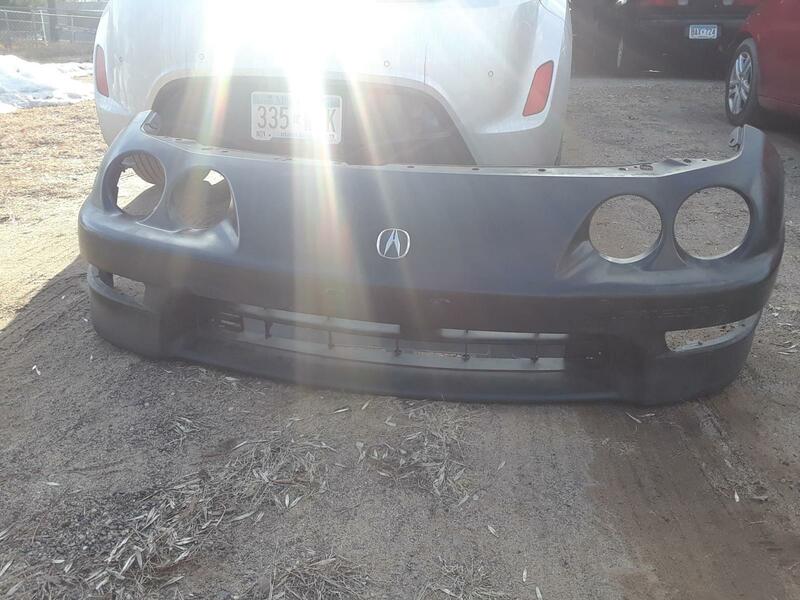 Found a used bumper cover locally with at least one of the turn signal housings. I also received my rockauto order to replace as many of the engine gaskets and suspension bushings as i can throughout the car this Saturday. By the end of the weekend i should be ready to take it for a test drive and get the A/C system discharged.